No trip twice - Can your electronic locks promote sustainability and help grow the business? Can your electronic locks promote sustainability and help grow the business? Cleaner technology products are key to preserving our planet’s ecosystems and protecting its population. Electronic security and access control can play a role. 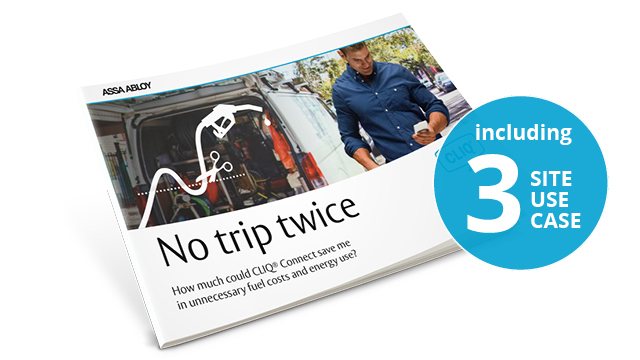 CLIQ® Connect redefines security for your business with a responsible, environmentally friendly solution that’s easy to install and cost-efficient to run.